JKap and crew have won their first major championship in WWII. Splyce and Luminosity are no strangers to playing one another in grand finals—and fans were treated to another historic matchup between these two squads at the 2018 Call of Duty World League Birmingham Open. 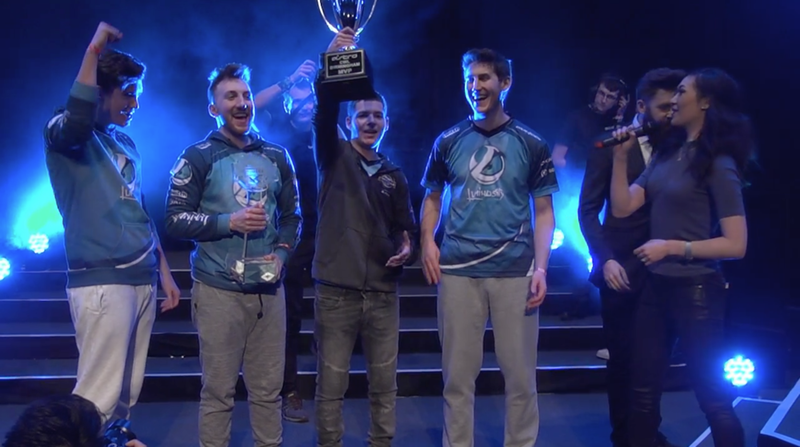 It wasn’t easy, but Luminosity—Josiah “Slacked” Berry, Sam “Octane” Larew, Jordan “JKap” Kaplan, and Johnathan “John” Perez—beat Splyce to win CWL Birmingham on Sunday. After being swept by Rise Nation Sunday morning, Splyce went on an impressive losers bracket run, dispatching of Reckless and OpTic Gaming before getting their revenge against Rise Nation. Luminosity were patiently waiting for Splyce in the grand finals, but the Europeans came out firing on all cylinders, kicking off the series with a dominant 250-60 win on Valkyrie Hardpoint. But Luminosity responded with a 6-3 victory on Valkyrie Search and Destroy behind Octane’s 11-kill performance. With the series tied at 1-1, Splyce jumped out to a 2-0 lead on Flak Tower Capture the Flag. Luminosity then used a second half surge to tie up the score and force overtime. But the Europeans punched in the first flag cap of OT and played excellent defense to earn the 3-2 map win. Splyce then forced a second best-of-five by taking Gibraltar Hardpoint 250-173 to win the first series 3-1. Luminosity opened the second series with a strong 250-178 victory on London Docks Hardpoint thanks to Octane’s 45-kill performance. But Splyce answered right back with a 6-3 win on Sainte Marie du Mont Search and Destroy. The second series transitioned to Flak Tower CTF once again—but this time, Luminosity won the map 2-1. JKap and crew then closed out the grand finals with a dominant 250-102 win on Sainte Marie du Mont Hardpoint, securing the 3-1 series victory and CWL Birmingham championship. John led the lobby with 35 kills in the game-winning map, and was promptly awarded the ASTRO Gaming MVP for CWL Birmingham. Luminosity will head home with the first-place prize of $80,000, while Splyce secure $48,000 after coming in second. Luminosity will look to carry this momentum into next weekend’s $500,000 CWL Pro League Stage One playoffs, which start on Friday, April 6.